The Anywhere Last Resort Tool. A small, reliable, extra strong tool that has been carried by guys around the world. 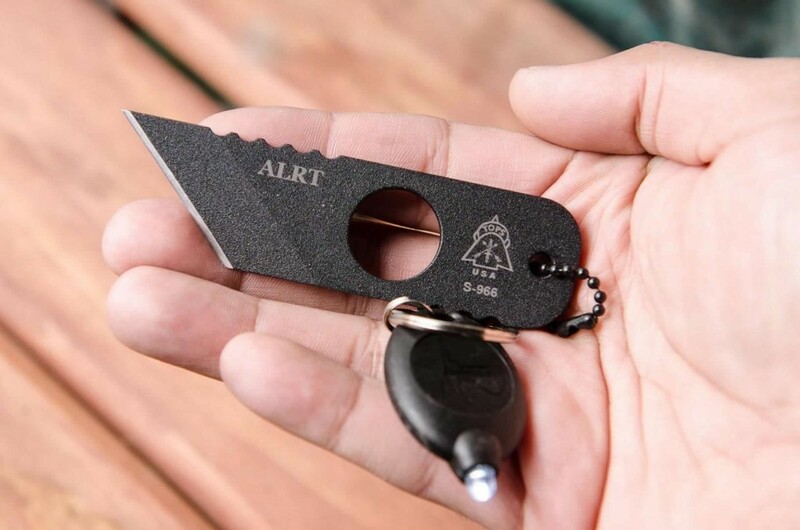 Worn as a neck knife, on a keychain, or around your car's steering column just in case you need a quick grab. Notably damn handy to have around. Pocket Size with Snap Link. 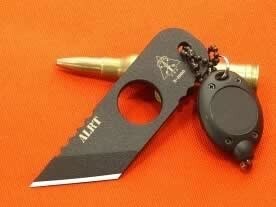 Sometimes, depending on the situation you can't reach your main blade or don't want an attacker to know that you're armed. 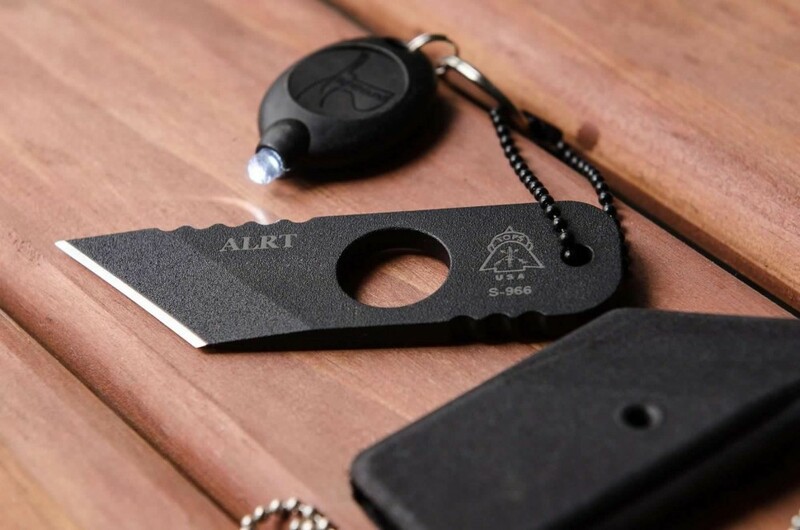 This knife was made for exactly those situations. 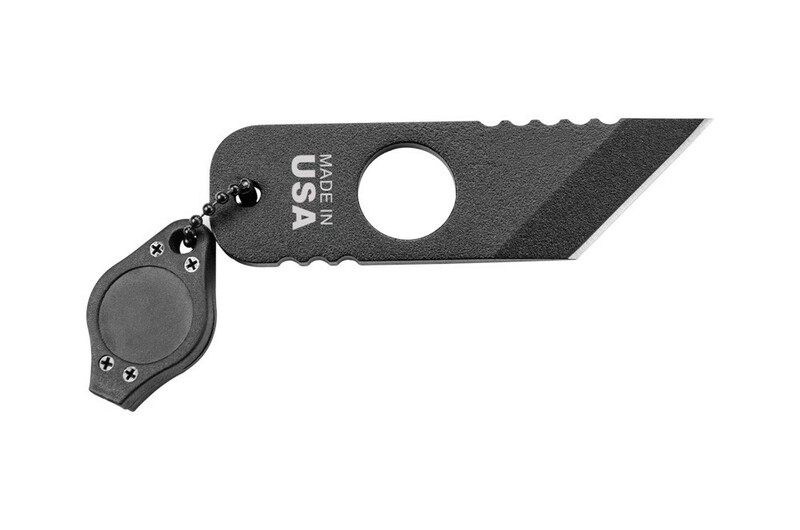 Turns out it's an excellent utility knife and EDC as well. 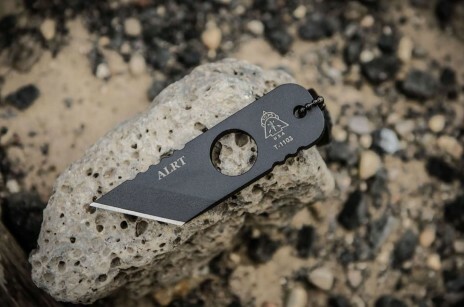 The TOPS ALRT is simple and awesomely convenient. I actually went out of my way to order the ALRT from TouchOfModern.com because it was the only location I could find it in the brick red. Search the internet and you can find some awesome colors such as a rich Army/Olive green. 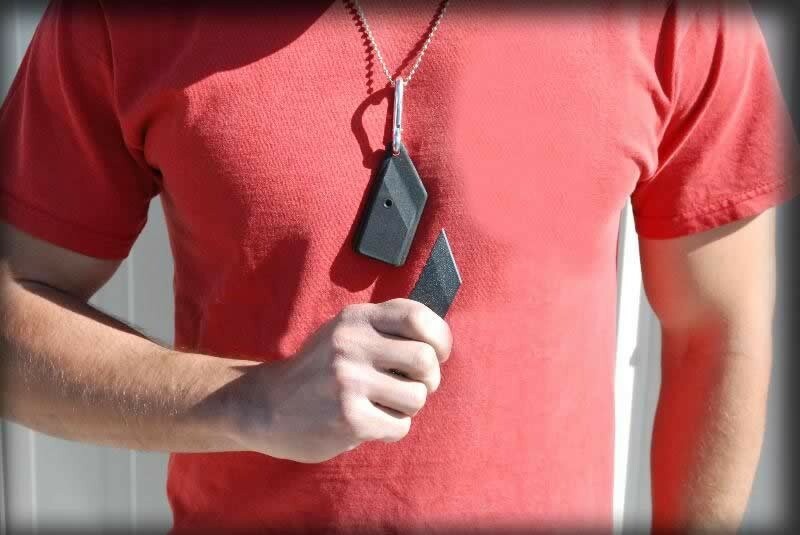 The knife is a chunk of solid Steel and feels surprisingly heavy when worn around the neck. (Don't worry, you quickly get used to the weight.) 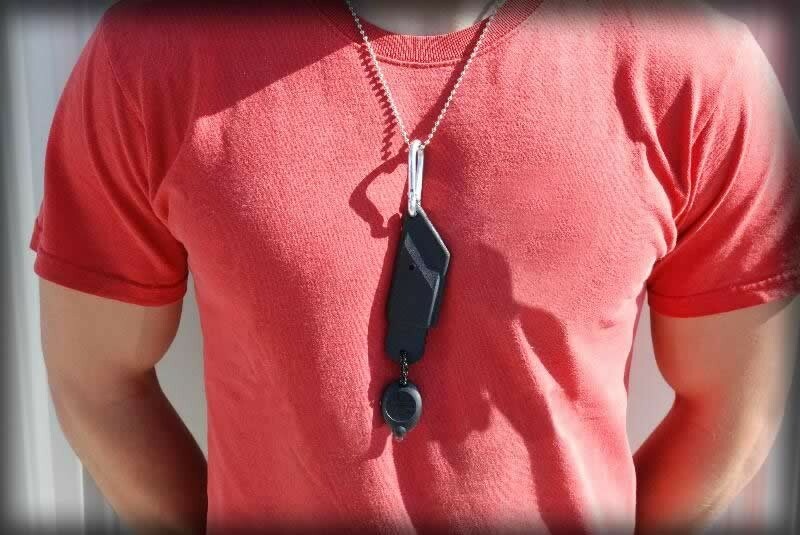 The ball chain that comes with the ALRT is larger / thicker than the chain issued by the US military with dog tags. 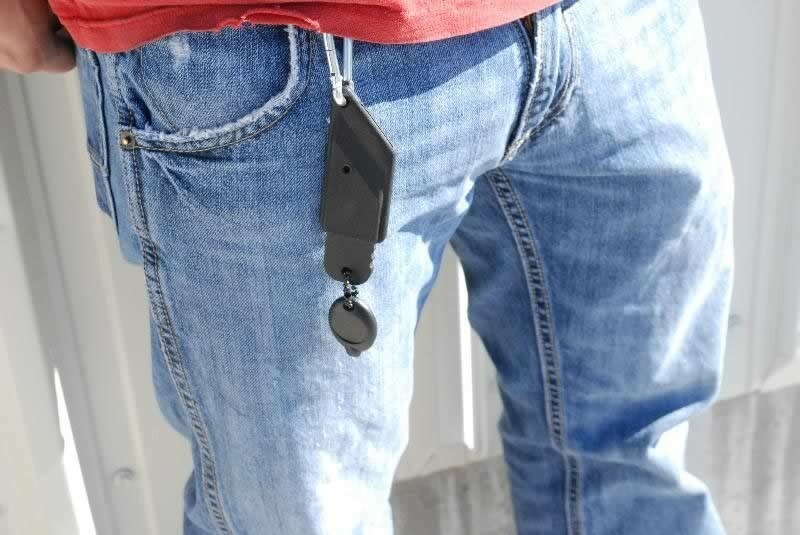 The chain is also much longer allowing the attached LED light to almost reach your belt, but the chain can be easily cut to adjust the size. 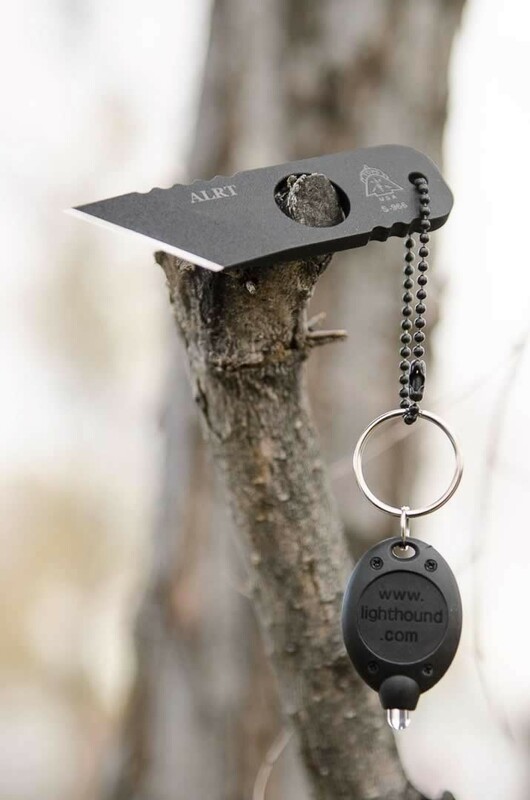 I don't like the extra clutter of the plastic whistle & LED keychain light all dangling from the chain, but I personally feel that the LED light helps to quickly pull the ALRT from the sheath. It almost extends the handle so that it better fills your hand. 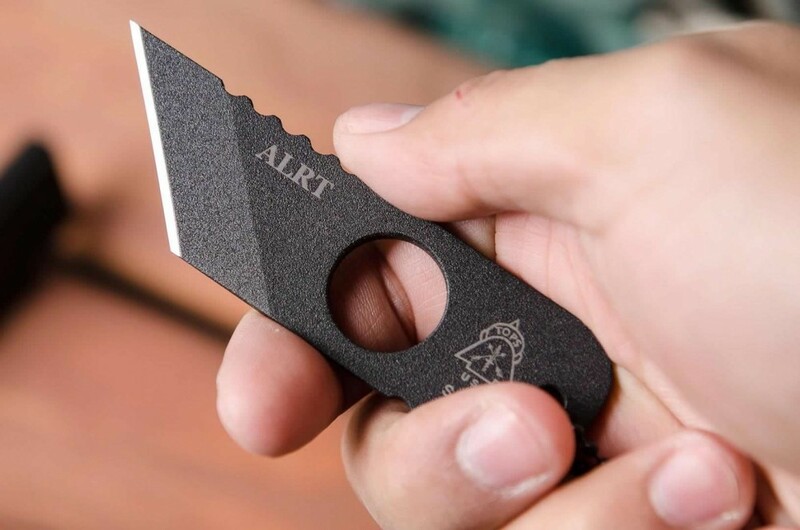 I use the ALRT for all of the though & damaging jobs that you typically would not want to do with a more expensive knife. (I typically carry the SOG Arcitech which is over $400.) This is actually the reason I chose the ALRT. 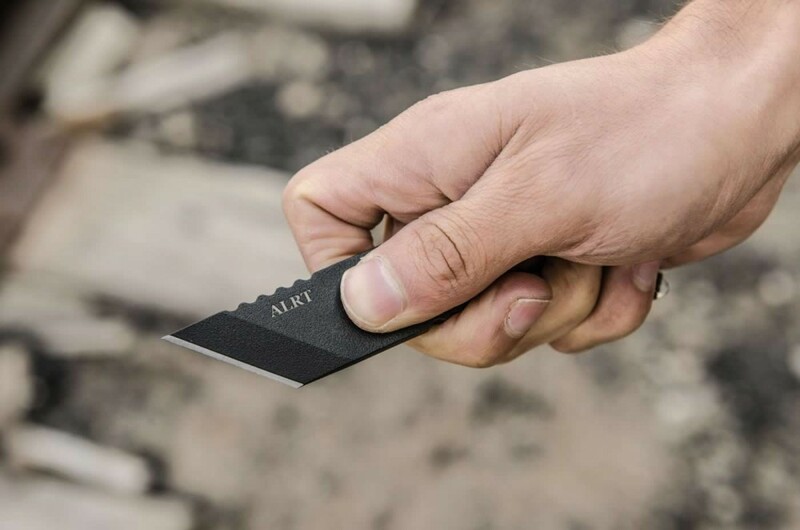 It is super sharp, durable, and is incredibly easy to sharpen on a sharpening stone. Just a straight push across the stone for a killer edge. 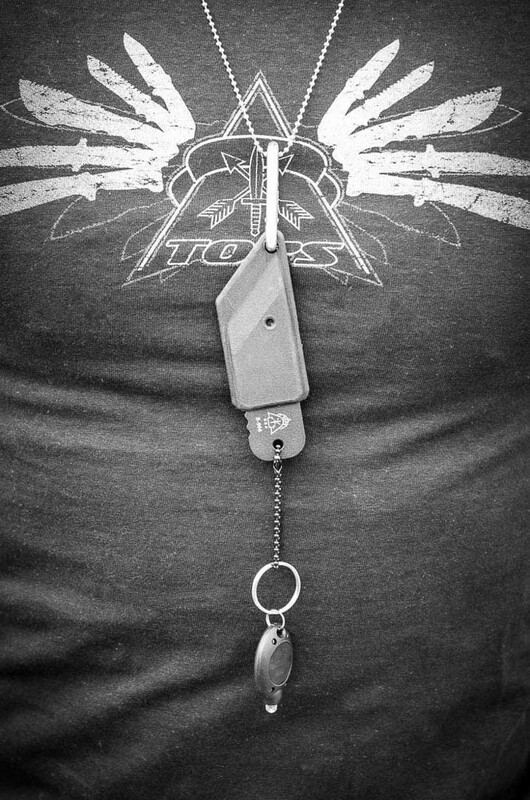 I originally purchased the SOG INSTINCT MINI, but did not like that it did not come with a small carabiner (or chain) meaning that it hung sticking straight out (as opposed to lying flat against my chest) I then tried carrying the SOG INSTICT MINI along my back. The sheath adjusts in many ways and fit very comfortably along my pant line, but putting the knife back into the sheath was not easy and took more focus that I wanted to spend each time I used my knife. 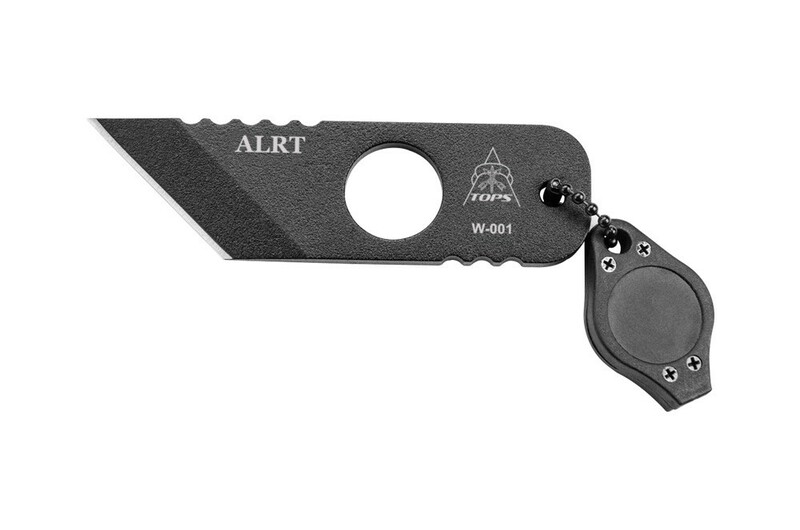 The ALRT comes with everything you need. 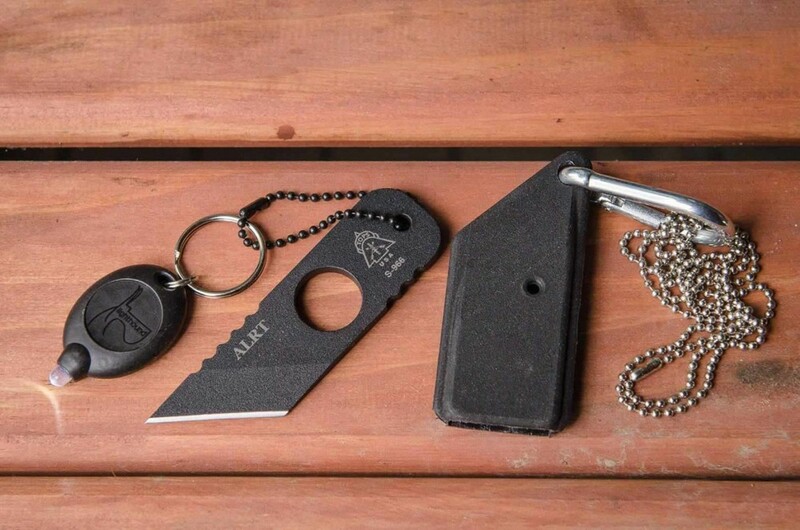 The chain, the carabiner, the knife, an LED flashlight, & a plastic whistle. It may be too small for those with larger hands, but it is an awesome tool to have around.